If you wish to factory reset Galaxy S5, then you have landed at just the right place. There are different ways to reset an Android device and Samsung S5 is no such exception. In this highly comprehensive post, we will teach you how to hard reset Samsung S5 without losing your data. Additionally, if your phone has been frozen, then don’t worry. 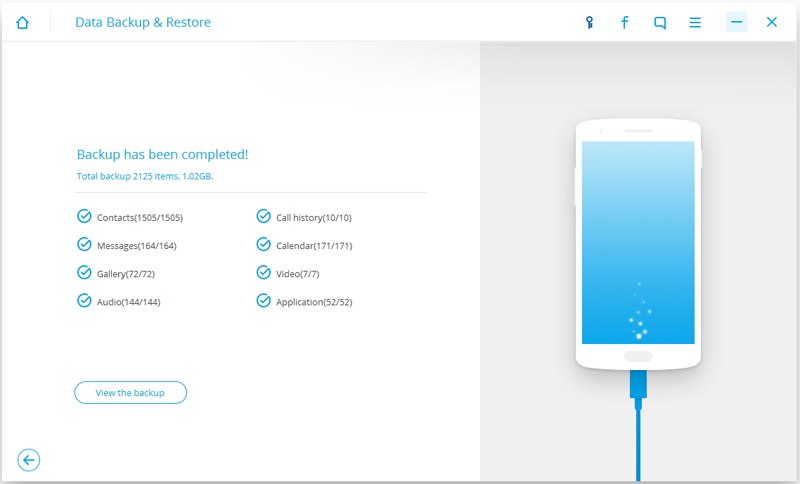 There are plenty of other ways to reset Samsung S5 device even if your phone gets frozen or if you are locked out. Let’s get it started with and uncover these options, one step at a time. Learn More: If you are locked out of Galaxy S5, click here to learn how to unlock Samsung Galaxy S5 easily. If your device is active and responsive, then you can easily perform the factory reset operation without losing your data. 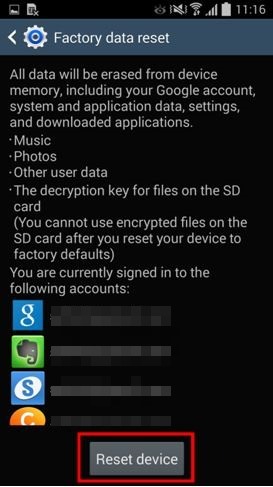 As you might already know that factory reset wipes all the user data on a device. Therefore, you should always take its backup beforehand to avoid losing your data. 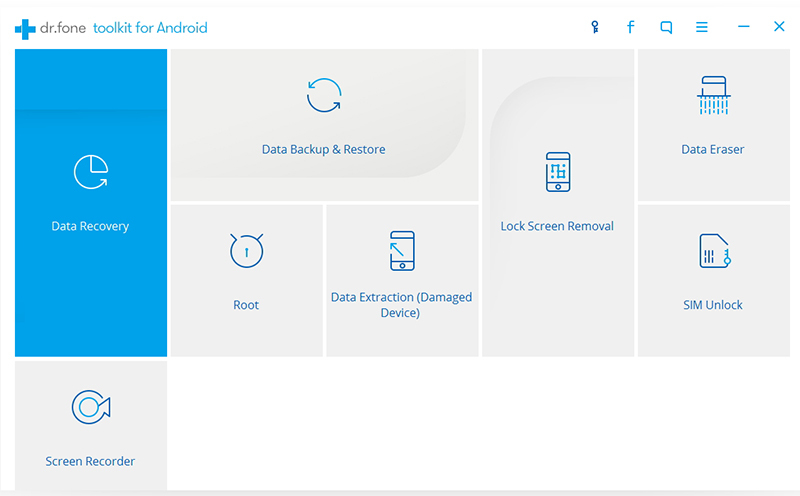 Start by downloading Android Data Backup & Restore and use it to take a complete backup of your data. It is compatible with thousands of phones and provides a safe and reliable way to backup your data. Just launch the application and connect your phone to the system. 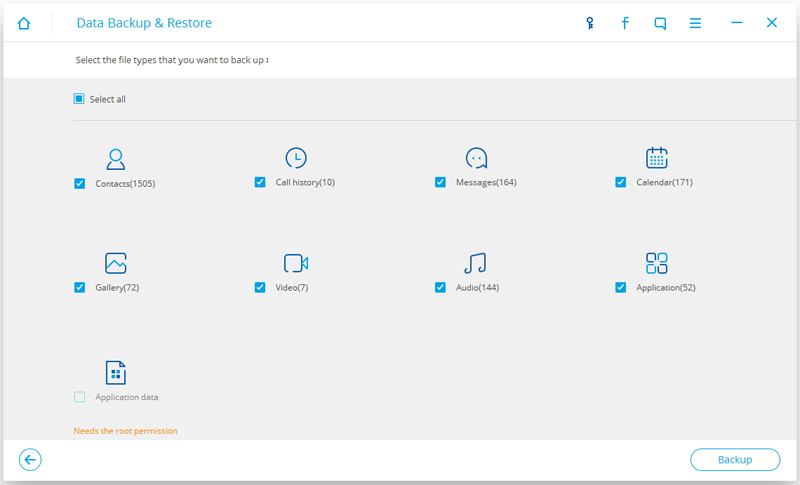 Choose the option of “Data Backup & Restore” from the welcome screen of dr.fone toolkit. Simply select the type of data that you wish to backup and click on the “Backup” button to initiate the process. 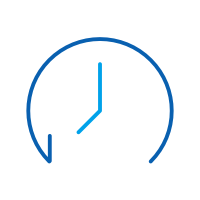 Wait for a while as the application will perform a complete backup of your data. You will get the following message as soon as your backup would be taken successfully. 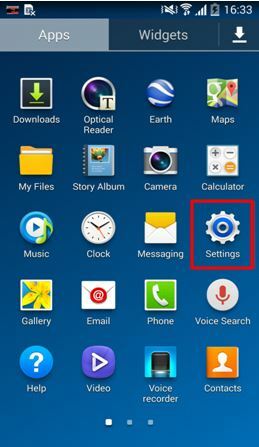 Now, you can easily factory reset Galaxy S5 by visiting the “Settings” menu on your device. This is the easiest way to factory reset your device and will make sure that your phone won’t get tampered in between. 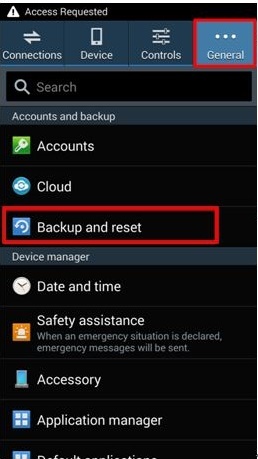 After taking a complete backup of your data, follow these steps to reset Samsung S5. 1. 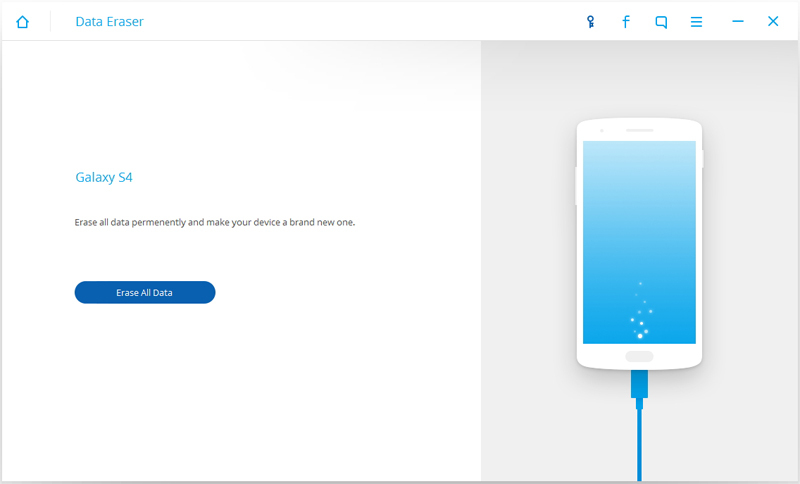 Simply unlock your device and visit the “Settings” menu to start with. 2. Now, go to the General tab and tap on the option of “Backup and reset”. 3. 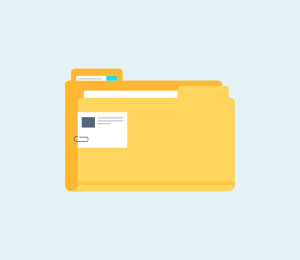 This will open a new tab where different options related to backup and reset would be provided. Just tap on the “Factory data reset” option to proceed. 4. Your device will let you know of all the repercussions of performing hard reset Samsung S5. It will un-sync your device from your linked accounts and delete all the user data from it. Just tap on the “Reset device” button to continue. 5. Your device will provide another prompt. 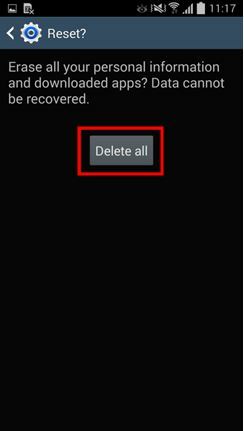 Lastly, tap on the “Delete all” button to factory reset your device. That’s it! 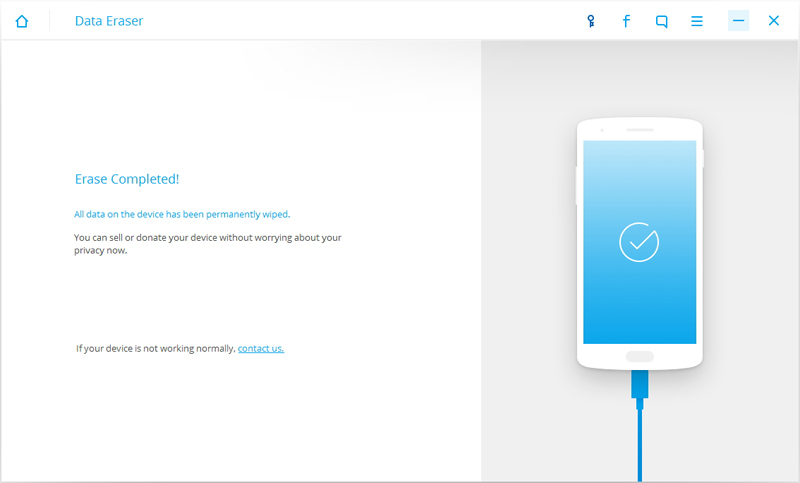 You are now able to factory reset Galaxy S5 without losing your data. There are times when users want to factory reset their phone but can’t really access their device. If your phone is frozen and is not responsive, then you can easily enter its recovery mode in order to reset Samsung S5. Though, if you haven’t taken a backup of your data beforehand, then you would end up losing it in the process. 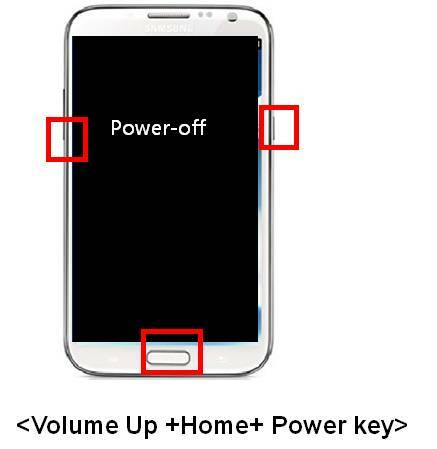 Nevertheless, perform hard reset Samsung S5 by entering its recovery mode in the following way. 1. If your phone is frozen, then simply long press the power button to turn it off. Wait for a few seconds until it vibrates and turns off. Now, put your phone into recovery mode by pressing the Home, Power, and Volume up button at the same time. 2. Wait for a while as you will see Samsung’s logo appearing on the screen. 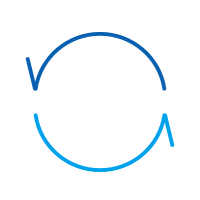 Now, let go of the buttons as your phone will enter its recovery mode. You can navigate the screen using the volume up and down button and make a selection with the home or the power button. 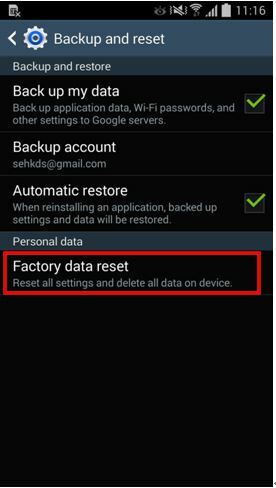 Select the option of “wipe data/factory reset” in order to perform the factory reset operation. If you get another message regarding the permission to delete all user data, then simply agree to it. 3. This will initiate the factory reset process. In a few minutes, the hard reset Samsung S5 operation would be completed. 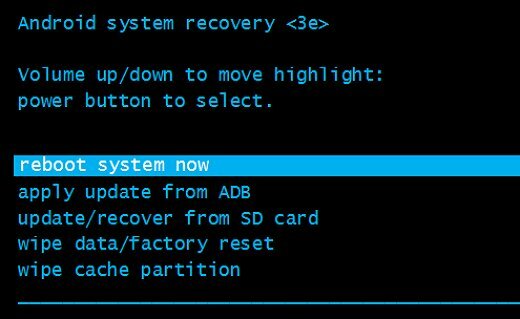 Now, select the option “reboot system now” in order to restart your device. There are times when users simply get locked out of their devices. If your phone is not frozen, yet if you are still not able to access it, then you can follow this approach. 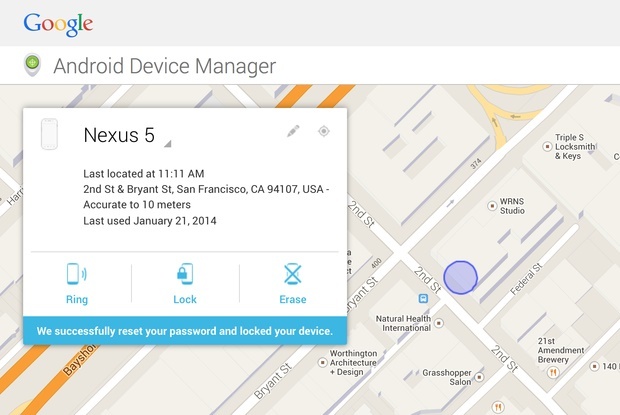 By taking the assistance of Android Device Manager, you can easily erase your phone’s data remotely. 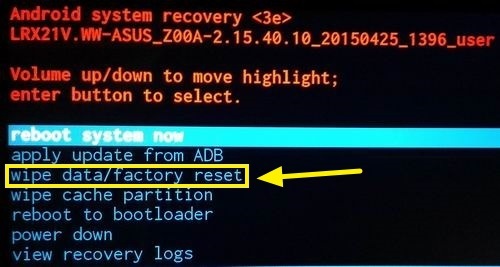 If you are locked out of your device, then follow these steps to factory reset Galaxy S5. 1. Use the Google credentials which are linked to your Samsung S5 and log-in to Android Device Manager. 2. 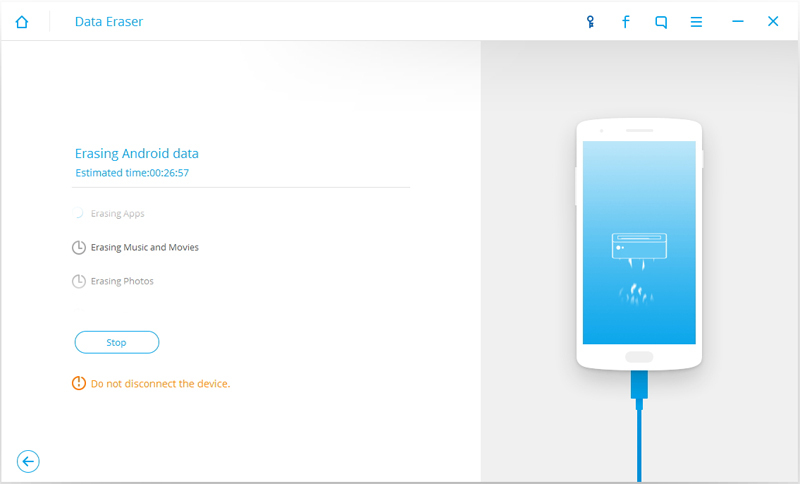 Simply select your phone to get an access to different operations that you can perform with the device manager. You can locate your device, ring it, lock it, or erase its data. Just click on the “erase” button to reset your device. 3. You will get a pop-up message in order to confirm your choice. Click on the “Erase” button in to reset Samsung S5. If your device is offline, then the factory reset operation will be performed as soon as it would go online again. This might surprise you, but even after performing the factory reset operation, your device might still retain some information. Therefore, if you plan to sell your device, then you should make an effort in order to completely wipe your data. In order to do so, you can take the assistance of dr.fone’s Android Data Eraser. It is compatible with almost every Android device and will completely wipe your phone’s data. 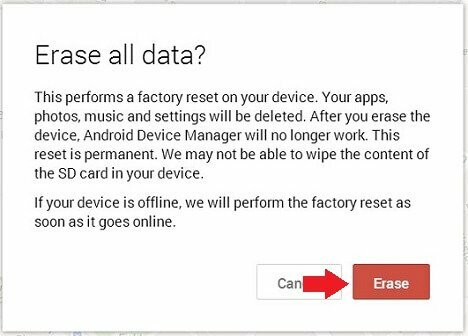 In order to erase your Android device, perform the following steps. 1. 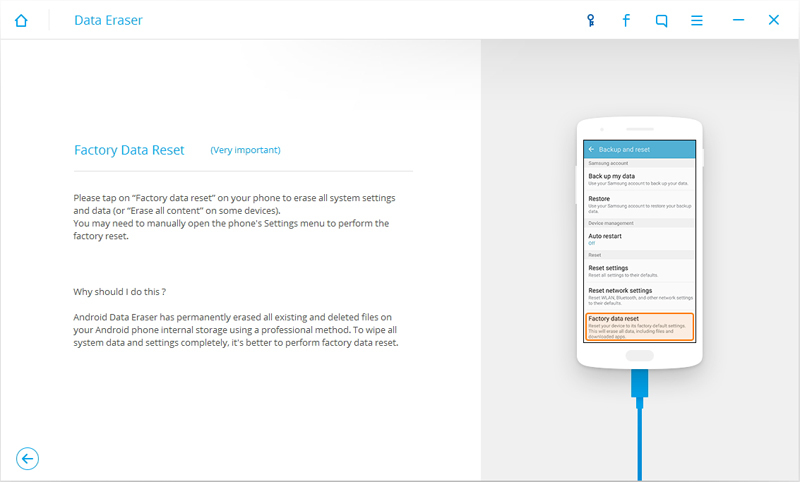 Start by downloading Android Data Eraser from its official website right here. Install it on your system afterward. After launching it, you will get the following welcome screen. Out of all the provided options, select the feature of “Data Eraser”. 2. Now, connect your phone to the system using a USB cable. Make sure that you have already enabled the USB Debugging on your phone. 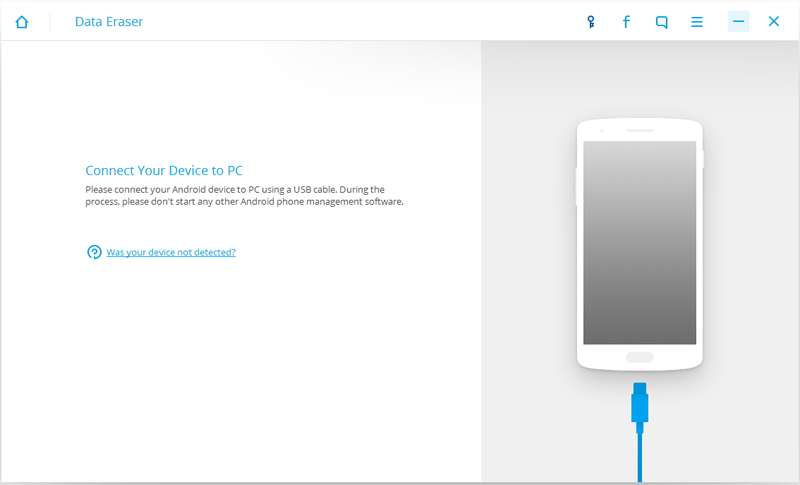 As soon as you would connect your phone, you will get a pop-up message regarding the USB Debugging permission. Simply agree to it in order to continue. 3. Your device will be automatically recognized by the application. 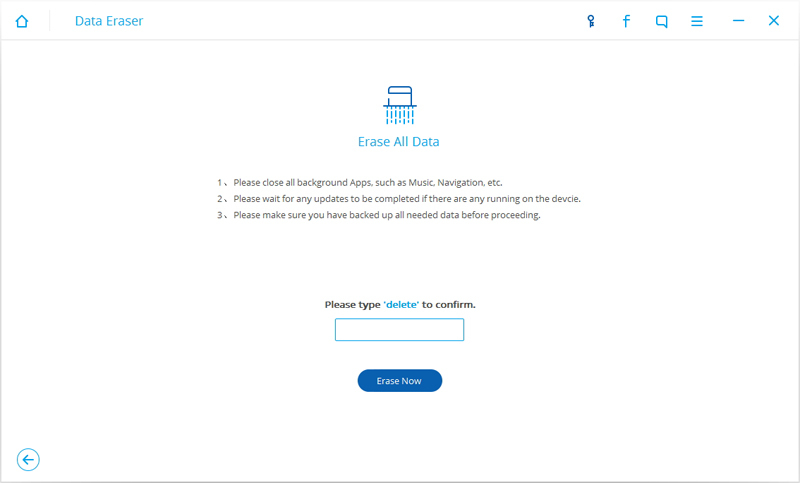 All you got to do is click on the “Erase all data” button to initiate the process. 4. In the next window, you need to provide the key “delete” in the text box and click on the “Erase now” button when you are done. 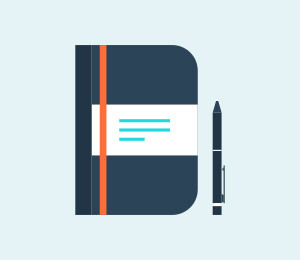 Ideally, you should make sure that you have already taken a backup of your data before this. 5. This will initiate the hard reset Samsung S5 operation. Wait for a while as the application will get rid of the user data from your device. Don’t disconnect your device during this process or open any other phone management application. 6. Lastly, the interface will ask you to tap on the “Factory data reset” or “Erase all data” option. This will factory reset Galaxy S5 in a matter of a few minutes. 7. As soon as your data would be erased, you will get the following message. Now you can just disconnect your device safely. We are sure that after following the above-mentioned steps, you can easily reset Samsung S5. It doesn’t matter if your phone is frozen or if you are just locked out of your device, we have covered every kind of scenario so that you can factory reset Galaxy S5 without any trouble. There is one thing in common that Android users worry about: data protection. Therefore, it is important to pick a good Android data wipe app to help you.